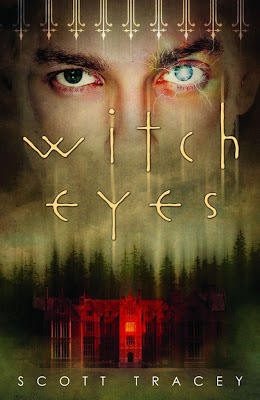 Scott Tracey revealed the cover of his debut novel Witch Eyes today! Looks pretty fabulous doesn't it? I think it's a great mix of creepy and cool. 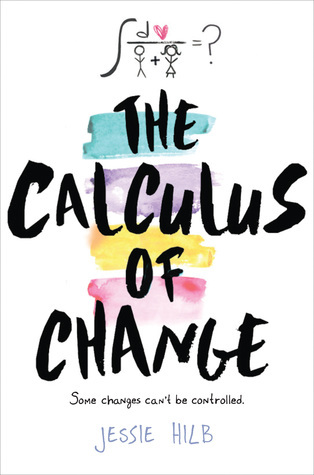 If I saw it on a shelf I would definitely want to know what this book was about. See Scott's thoughts on his cover HERE. Braden Michaels wears his sunglasses at night. And at the movies. And in the shower. 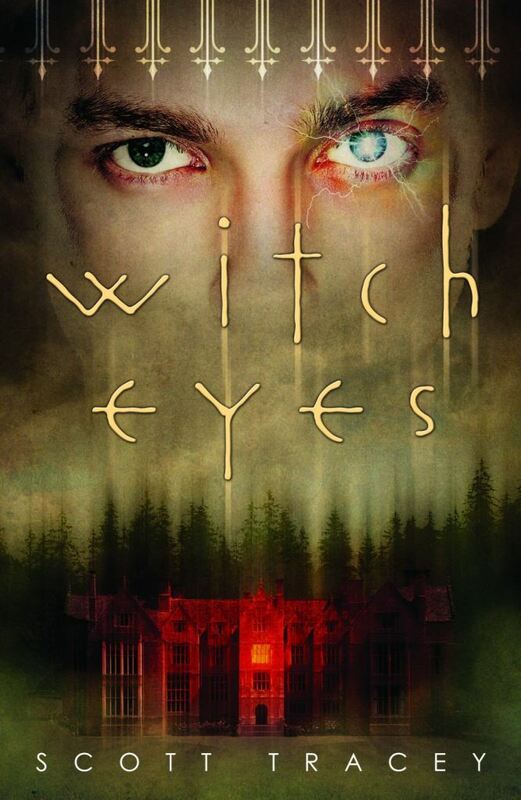 Raised by his warlock uncle and taught to use magic, he suffers from a deadly curse: the witch eyes. He sees everything that normal eyes filter out: history and memory; love and pain; magic and darkness. The mind, however, was not meant to process so much, and the power is killing him slowly. The only thing saving his sanity are the sunglasses he always wears. And then the visions reveal a dark threat on the horizon. Braden runs away to Belle Dam, the city where the threat originated, and is immediately swept up into the town’s mysterious feud. Two rival magical families have divided the town into a personal chessboard of scheming and machinations, and Braden is their latest pawn. As he tries to avoid their manipulations, and see the truth behind his return to Belle Dam, he has a choice to make. One side, or the other. Ignite the feud, or end it. Sacrifice himself, or someone else. Live, or die. Coming from Flux in Fall 2011! Oh wow that premise sounds so epic :D. That cover is pretty creepy I tend to stay away from creepy so I probably wouldn't pick it up but it would catch my eye.